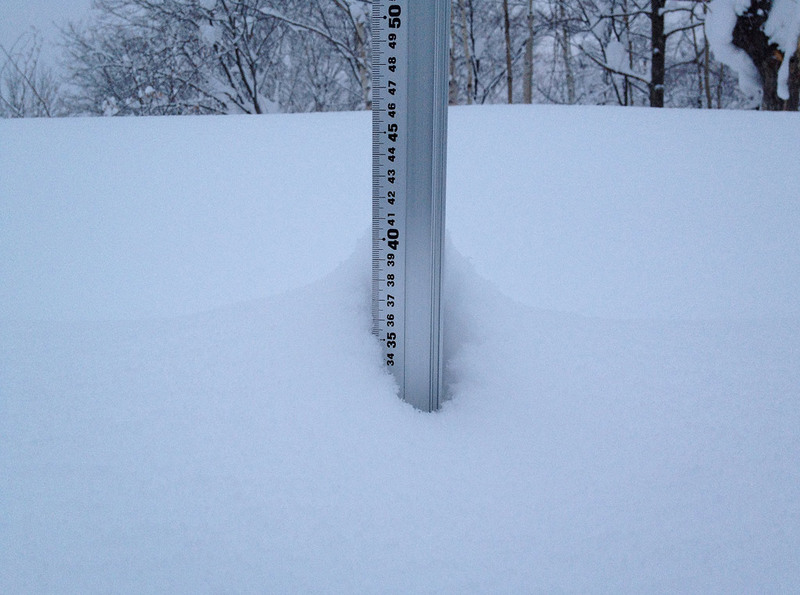 *12.5cm of fresh snow as fallen in the last 24hrs in Hirafu Village. At 7:15 today the temperature was -3°c. Most of the 12.5cm of snow that has fallen has been in the last few hours. Conditions on the groomed runs will be fantastic with an light layer or fresh snow on a firm base. Time to work on carving turns. Caution is advised when venturing of the groomed runs as conditions will be variable…what may look like a deep patch of snow may actually be ‘dust on crust’. Lots of snow is on the forecast for the weekend with large snowfall warnings issued across Hokkaido. Which means one thing here in Niseko – lots of powder snow.